Ideal for cafe, restaurants and bars water carafe for the tables. 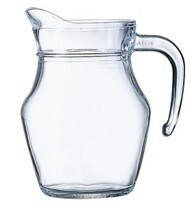 SKU: ARC Jug 1L. Category: Jugs.